MOSCOW, December 14. /TASS/. Russia will take part in 2019 navy drills organized by Singapore and South Korea in the framework of the Association of Southeast Asian Nations (ASEAN), Russian Deputy Defense Minister Col. Gen. Alexander Fomin said on Friday at a briefing for foreign attaches. 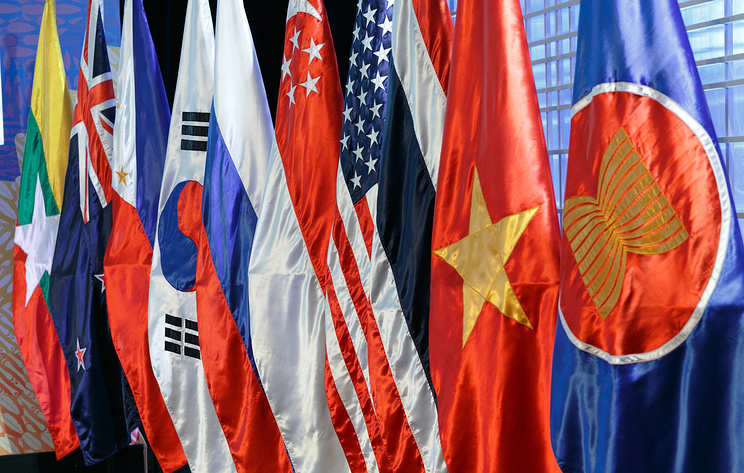 Fomin noted that the Russian Defense Ministry continues cooperating with Asia Pacific countries in the ADMM-Plus format (meeting between defense ministers of ASEAN member countries and dialogue partners). "In March 2019 we will send a group of Russian specialists (20 people) to participate in the exercise of the expert working group on military medicine under the chairmanship of Myanmar and India. In May 2019 we will take part in the multilateral navy drills organized by Singapore and South Korea," Fomin said. He noted that in the framework of this format, cooperation is developing in the spheres of fighting against terrorism, military education, medicine and peacekeeping activities. "Together with Laos, Russia is a co-chair of the ADMM-Plus' expert working group oh humanitarian demining. The Russian engineering unit is currently participating in the demining operation in Laos. We are also teaching Lao sappers to operate engineer equipment manufactured in Russia," the deputy minister added. 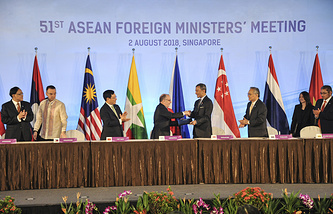 ASEAN member countries are Brunei, Vietnam, Indonesia, Cambodia, Laos, Malaysia, Singapore, Thailand and the Philippines. The association's dialogue partners are Australia, India, China, New Zealand, South Korea, Russia, the United Stated and Japan.